This covers the provision of a clean, fresh water supply. 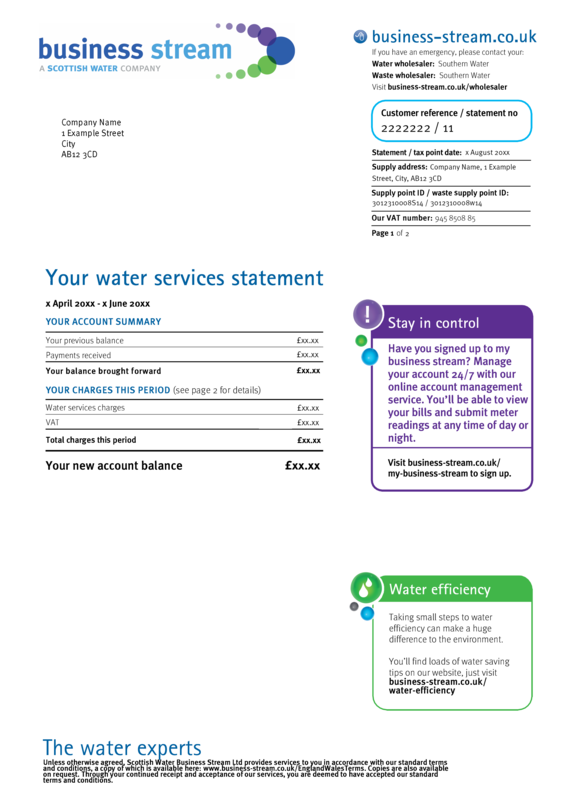 As you do not have a water meter, this charge will be dependent on your Water wholesalers charging structure. Please see https://www.business-stream.co.uk/our-charges-for-england/ for more details. Got a question about Unmetered Bills in England? We’ve included our most asked questions below. Why do you bill based on Rateable Value figures from 1990? The method for charging business properties that do not have a water meter is laid out by regulators in the water industries market code. 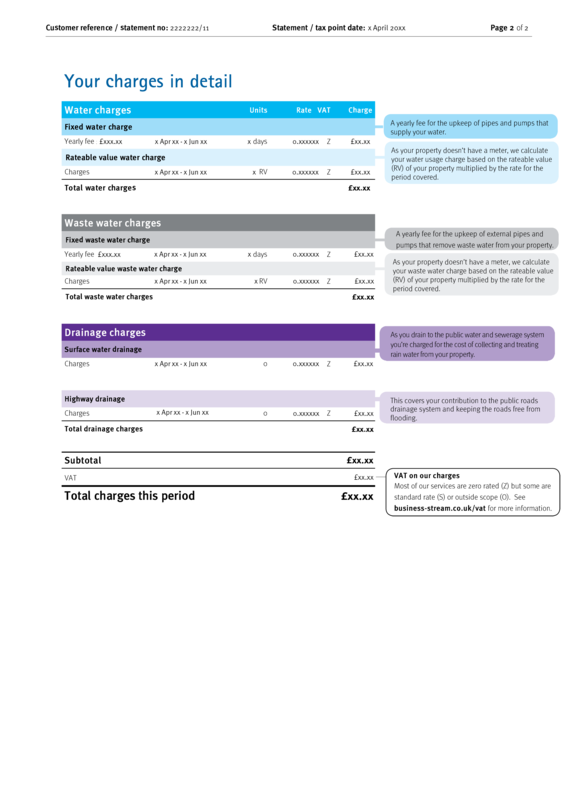 All business water retailers, like ourselves, are required to calculate these charges using the 1990 Rateable Value figure from your local authority.